Australia has taken delivery of its first two F-35A Joint Strike Fighters at RAAF’s base in Williamtown. The acceptance ceremony was attended by Defence Minister Christopher Pyne and Defence Industry Minister Steven Ciobo who welcomed the aircraft and RAAF fighter pilots flying the final leg in the journey from Luke Air Force Base Arizona. Minister Pyne said the Joint Strike Fighter will bring game-changing capabilities to the Australian Defence Force. The Joint Strike Fighter is the largest acquisition in the history of the Royal Australian Air Force which is investing over $17 billion to acquire at least 72 aircraft. Minister Ciobo said the Lockheed-Martin-built aircraft presented significant opportunities for Australian defence industry to create new jobs. 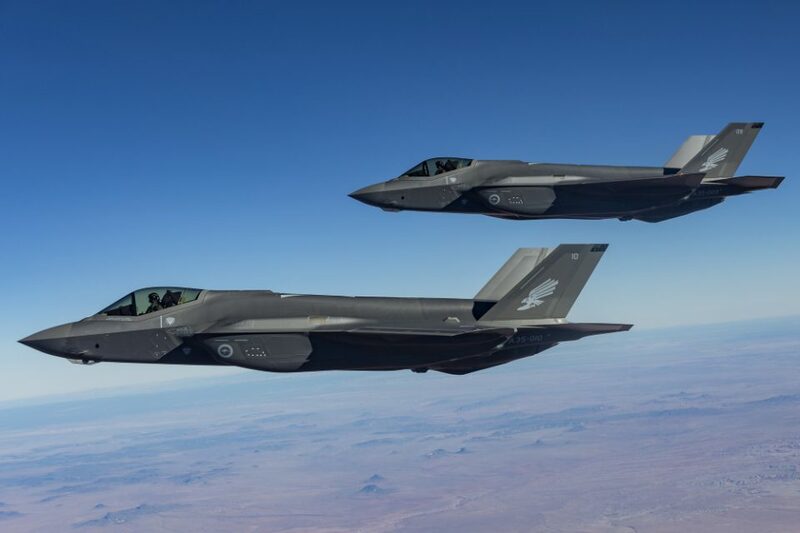 The two F-35A Joint Strike Fighters – to be operated by the Air Force’s Number 3 Squadron – will be based at RAAF Base Williamtown and at RAAF Base Tindal in the Northern Territory.